You will directed to our downloading page and the download will start in the background. 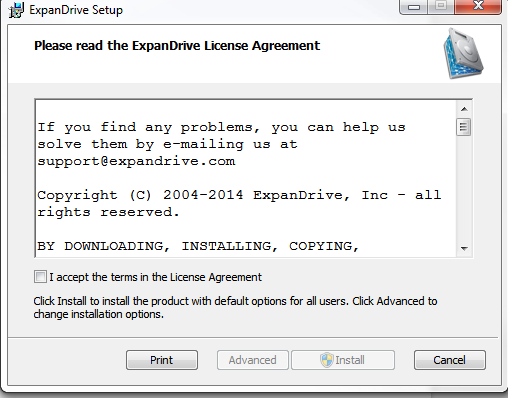 Read and accept the terms of the license agreement, click Install and then Finish and ExpanDrive will install on your machine. By default ExpanDrive installs for just the current user, but optionally you can click Advanced and choose to install for all users which makes ExpanDrive available for other users on the system. Unless you’re in a multi-user environment, this probably isn’t necessary.